18 years after a massive fire at a theatre in New Delhi’s posh Green Park area snuffed out 59 lives, the Supreme Court on Wednesday let off cinema owners Sushil Ansal and his brother Gopal Ansal merely asking them to pay a fine of Rs 30 crore each to the government within three months. The bench headed by Justice Dave said a detailed order with all the reasoning will be given on Thursday. It accepted the argument of Ram Jethmalani, senior lawyer who represented the Ansals that the two be let off after considering the period of the imprisonment they have already undergone considering their age. While Sushil Ansal spent 5 months in jail, Gopal remained in jail for four months and 32 days. “There was ample evidence. After an earlier bench convicted the Ansals noting that contemptuous disregard of civic law (in the tragedy) was glaring" and the “cinema owners were more interested in making money than ensuring safety of the public” can they be let off ? Naveen Sawhney, another parent who lost his son in the fire said: “the apex court had sent a wrong message. Such leniency cannot act as deterrence for such crime. 18 years ago we lost our children today we have lost the case. At least a week more's imprisonment for both would have send across some message and given us some relief"
The bench rejected the plea of senior lawyer Harish Salve who represented the CBI for handing a two year jail term to the Ansal brothers. When Jethmalani requested the court to allow arguments on facts relating to conviction, the SC bench asked him to file a review petition. The court said “our role is very limited to decide sentence & we cannot look into your conviction which was earlier upheld “Jethmalini told the court "If we go by normal calendar of Supreme court, my clients will die till their appeal is heard, and am not sure of myself too " to which bench quipped "We do not want you to die ". 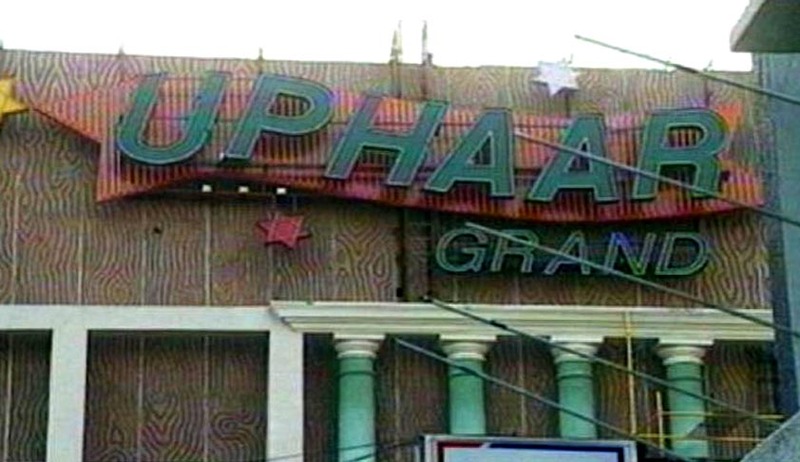 Counsel for the CBI and Uphaar victims pressed for imprisonment of Ansal brothers. The fire started in the parking lot and then engulfed the building in the busy Green Park area. Most people died in the ensuing stampede or were asphyxiated as the escape routes were blocked by illegally fixed chairs. The trial court had sentenced the duo to two years’ rigorous imprisonment in November 2007. But in December 2008, the Delhi High Court reduced their sentence to one year. While disposing of the appeals filed by the brothers challenging the sentence imposed by HC, Justice Thakur retained the one-year jail term for the duo as imposed by the HC, Justice Misra reduced the jail term of Sushil considering his age to a period already undergone in jail (seven months), but enhanced the sentence of Gopal to two years. Justice Misra also imposed a fine of Rs 100 crore on the Ansal brothers, to be used for the construction of a trauma centre and super speciality hospital on a five-acre plot in west Delhi’s Dwarka area, to be allotted by the Delhi government. The trauma centre was to be treated as an extension of the Safdurjung Hospital. It was following this difference of opinion that the twojudge bench referred the matter to a larger three-judge bench. Ansals maintained they were in no way responsible for the incident as the fire was on account of the DVB (Delhi Vidyut Board) transformer. The HC had concluded that it was their decision to allow installation of a transformer inside the building and unauthorised deviations in the seating arrangement that became the proximate cause of 59 deaths. The attempt by the Ansal brothers to distance themselves from the incident by stating they had severed all links with the theatre since 1988 did not impress the SC judges in the earlier bench, who noted that there was proof that they were at the helm of affairs. The bench was of the view that a series of decisions taken by them led to breach of several mandatory norms, which blocked easy exit from the balcony. “As leaders of the enterprise, they were on a full-time duty to ensure the viewers’ safety at all times,” the SC had said while upholding the conviction.